The word “Ace” is defined as someone who excels at a particular craft. We gave ourselves this name because we have not only excelled but perfected our craft. The quality of our repairs is unparalleled – and level 3 advanced micro soldering is where we shine. We have every solution for any phone. At Ace, your device will be taken care of. 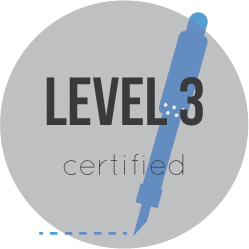 We are one of west Michigan’s only level 3 repair facilities. We perform repairs on a board level which means our techs can get any job done! You never want to hear your device can’t be fixed – or that it’s going to cost an insane amount. We always beat the competitions price, and will never turn your device away unless it’s truly destroyed. Our customers are our greatest assets. Whenever you have a problem, our number one goal is to not only give you the best possible price, but to make sure you are taken care of!